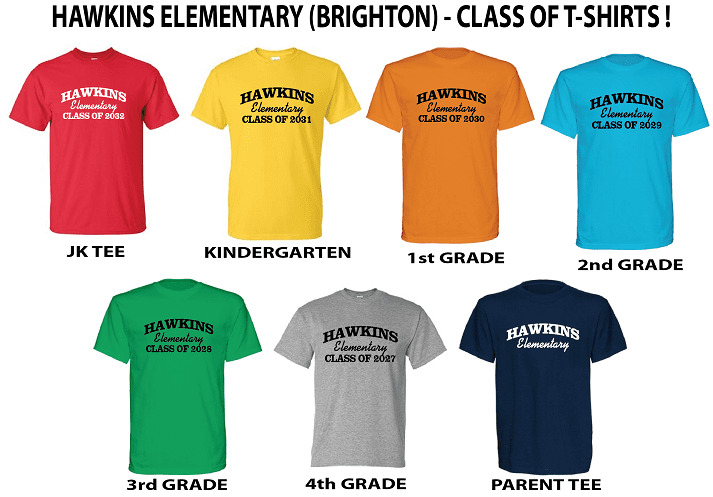 HAWKINS ELEMENTARY Apparel is now available to order online! ORDER DEADLINE IS SUNDAY, OCTOBER 7th. .
NO ORDERS WILL BE TAKEN AFTER THE OCTOBER 7th ORDER DEADLINE. DELIVERY: ALL ORDERS WILL BE DELIVERED TO THE HAWKINS ELEMENTARY FOR DISTRIBUTION.